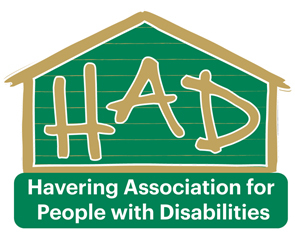 Become a Dementia Friend - H.A.D. 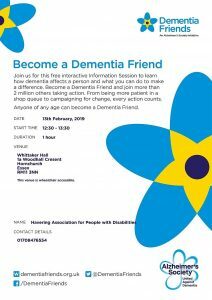 We are delivering a free interactive informative session here at H.A.D on how Dementia affects a person and what you can do to make a difference. Or become a Dementia Friend, anyone of any age can become a Dementia Friend, by being more knowledgeable, patient and understanding or taking it further by campaigning for change, whatever you choose to do ‘every action counts’. So pop along on 13th February 2019 at 12.30pm to 1.30pm.